Come say hello if you’re near downtown San Francisco. 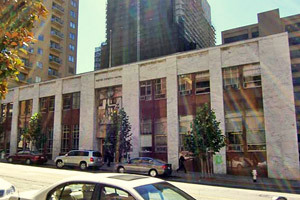 Our vintage building, known as the Marine Fireman’s Union, was site of Harvey Milk’s union speeches in the movie Milk. Who knew? Our new address is 240 2nd Street, Suite 300, San Francisco, CA 94105. Built in 1957, the Marine Firemen’s Union Headquarters was designed in the Late Moderne style and includes significant interior and exterior murals. The building continues to serve as the administrative headquarters and hiring hall for the Marine Firemen’s Union, which was founded in 1883 and reorganized in 1907, and is one of the oldest and most important maritime unions based in San Francisco.